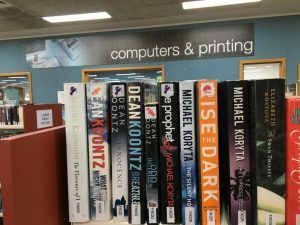 Campbelltown City Council’s libraries are set to become safer places for patrons to venture online thanks to the eSmart Libraries program. The city’s public libraries have received eSmart Libraries accreditation, with the program officially launched at Glenquarie Library earlier this month. Mayor of Campbelltown, Cr George Brticevic, said Council decided to apply for eSmart libraries accreditation to help ensure the online safety of the community members who use the facilities. “The digital revolution has brought with it many advantages,” he said. “The internet keeps people connected and informed, as well as being a vital business tool. “Unfortunately, it has also seen the rise of new types of criminals, who often prey on the vulnerable members of our society – older people and children. “The eSmart libraries program gives our library staff the knowledge and tools to teach members of the public how to stay safe online. More than 75 per cent of Australia’s 1500 public libraries have joined the eSmart Libraries program. Campbelltown Council operates libraries in the town centre, Ingleburn, Eagles Vale and Glenquarie.